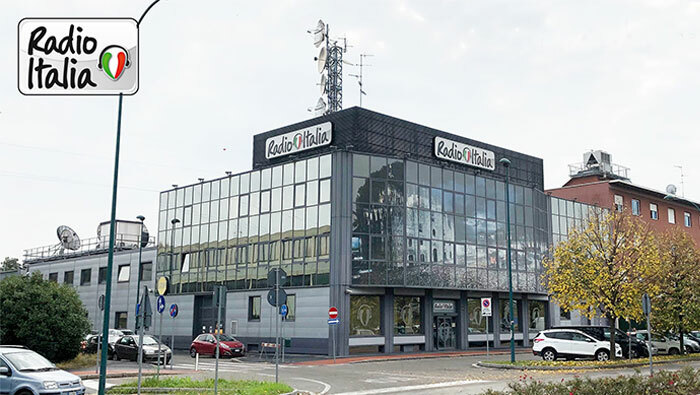 M&I Broadcast Services announced today that Radio Italia, with its headquarters in Milano, has switched to OmniPlayer Radio Automation Software for its radio production and playout system. Pino Massignan, CTO of Radio Italia, said: ‘OmniPlayer impressed us the first time that we saw the product. Pure innovation built on a rock-solid wall of stability. Easy to work with for journalists and a blessing for our technical staff. It is software that is really doing the job: 365 days a year, 24×7. OmniPlayer is pushing the boundaries of radio”. Peter van Klei, CCO of M&I Broadcast Services “We are honoured that Radio Italia has chosen OmniPlayer as their core system for production, scheduling, publishing and playout. OmniPlayer has made its entry in the Italian market by announcing our first major radio customer last year. Adding leading radio station Radio Italia underpins our commitment to expand our business in Italy and across Europe”. Meet OmniPlayer at the European Radio show in Paris 24 – 26 January 2019, or at the Radio Days Europe in Lausanne 31 March 31 – 2 April, 2019. OmniPlayer is a complete end to end solution for radio stations, covering all the key segments of the production chain from ingest, production, scheduling to playout. It seamlessly integrates with third party solutions and guarantees high reliability, flexibility and cost efficiency. OmniPlayer is chosen by a rapidly growing number of leading European radio stations, including almost every Dutch commercial and public radio broadcaster, and has proven to meet the demands of the fast changing and innovating radio business. OmniPlayer is created by Dutch radio solutions expert M&I Broadcast Services, for more information visit www.omniplayer.com or contact sales@omniplayer.com.